Troops on Saturday found packs of condoms, used and unused, in Boko Haram camps, fueling doubts about what is it they are actually fighting for-or what would the so-called holy jihadists fighting for an Islamic state be doing with condoms? 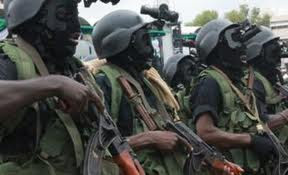 Troops also found syringes and narcotic drugs believed to have been used by the insurgents to get high before embarking on their deadly attacks. A statement by the Director, Defence Information, Brig-General Chris Olukolade entitled, ‘Life in Terrorists Camp: Condoms Everywhere’, reads, “More of the dirty sides of the insurgents’ life style are being revealed as troops continue to stumble on strange and bizarre objects such as several used and unused condoms as well as charms and amulets of various shapes seen in the captured terrorists’ camps. “Other common items are syringes, test tubes and hand gloves usually found in the rubbles of most of the destroyed camps. “Apart from chemicals and materials for producing Improvised Explosive Devices (IED) narcotics of all types are also found to be common features as troops combed through camps in Sambisa forest, New Marte, and others. “Meanwhile, Defence Headquarters (DHQ) Assessment teams are in Yobe and Adamawa States to update the reports on the conduct of security operations in those states since deployment of troops in line with the State of Emergency.